The Hungarian government is taking its message and narrative international: prime minister Viktor Orban’s enigmatic spin doctor, Árpád Habony has launched an online media outlet called V4 New Agency (V4NA). The London-based operation employs fifty journalists and publishes stories from the Visegrad region in English and Hungarian, promising additional languages in the future. ’We give a conservative, right-wing perspective of the key political, economical and other news that are critical to our life in Europe and around the world,’ the newly founded news agency says on its website. ’Our team of fifty journalists and fast-responding news teams, however, are always on location where the leading stories happen in Europe. Should it be London, Brussels, Paris, Berlin, Prague, Budapest, Belgrade, Bratislava, Warsaw or any other focal point in Europe, we are there 24 hours a day, 7 days a week’ they add. This 50-people-team is part of the pro-government Hungarian propaganda empire. The pro-Orban media operation comprises about 500 media outlets, as research by Atlatszo uncovered previously. Until last November, most of those outlets were owned by oligarchs loyal to Orban. One of these key media owners was Habony. However, Habony was somewhat sidelined in November when he and his fellow media owners ’donated’ their media outlets to the newly created Central European Press and Media Foundation. He seemed to be losing his influence in the media sphere. But now Habony is back in the media business with V4NA, as VálaszOnline, a Hungarian news portal reported at the beginning of this week. The new portal is owned by V4NA Ltd., registered in London. The company was registered on December 31, 2018 and at the time its sole owner was Kristóf Szalay-Bobrovniczky, Hungary’s ambassador to the UK. There was a change in ownership in the middle of March, 2019: from that time 40 percent of the company was owned by Danube Business Consulting Ltd. – a London-based company that was founded by Habony and by an infamous American republican campaign operative Arthur J. Finkelstein. After Finkelstein’s death in 2017, Habony became the sole owner of Danube Consulting. At the end of March ownership changed again, ValaszOnline reports based on UK company records. Since March 29, 2019 the Hungary-based New Wave Media Group Kft. owns 57 percent of the company; Danube Business Consulting owns 40 percent, while ambassador Szalay-Bobrovniczky still owns 3 percent. New Wave Media Group Kft. used to be controlled by Habony but it is now part of the Central European Press and Media Foundation-empire – which means that the majority owner of the new, London-based news agency comes from the Hungarian pro-government propaganda group. Looking at the first stories that V4NA published, it is not hard to notice its agenda. 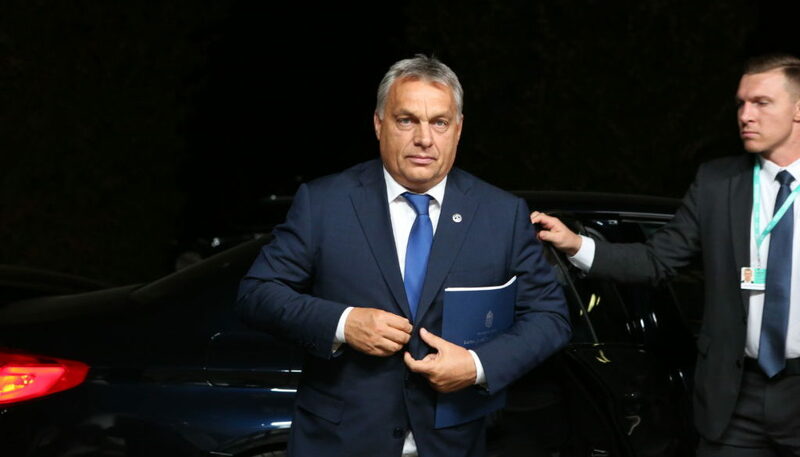 Quotes from Hungarian PM Viktor Orban, minister of foreign affairs Péter Szijjártó and spokesperson Zoltán Kovács are already published.